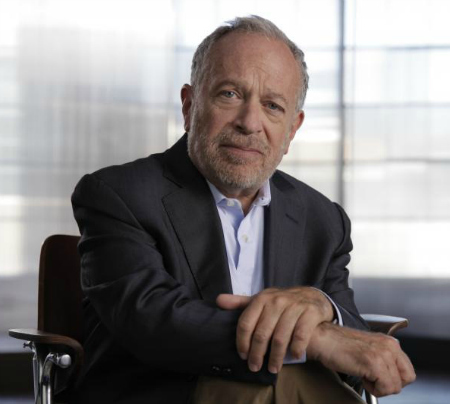 The upcoming Santa Cruz appearance by former U.S. Secretary of Labor Robert B. Reich at the Rio Theatre reached capacity before most people even knew he was coming to town. The event, sponsored by the UC Santa Cruz Blum Center, begins at 6:30 p.m. Tuesday, April 5 and will be streamed live online, broadcast on KZSC 88.1 FM, and simulcast at the Music Recital Hall on campus. There is also a waiting list for seats at the Rio Theatre. All are free and open to the public. Reich, a professor of public policy at UC Berkeley, will be in conversation on the Rio stage with Heather Bullock, UCSC professor of psychology. His latest book, Saving Capitalism: For the Many, Not the Few (Knopf, 2015) is the basis for the discussion. A documentary film, “Inequality for All,” featuring Reich, will be shown at Kresge Town Hall Thursday, March 31 at 6:30 p.m. with an introduction by UCSC Professor Mary Beth Pudup. Admission is free. “Inequality for All” won a special jury award for achievement in filmmaking in 2013 at the Sundance Film Festival. Reich and Jacob Kornbluth, the film’s director, are also co-directors of the Economic Inequality Media Project, a non-profit that creates short videos featuring Reich drawing cartoon explanations of economic issues in easy-to-understand terms. Reich has become a prolific and well-known progressive commentator on the economy and politics. He is active with the MoveOn.org progressive public policy advocacy group, blogs regularly at robertreich.org, and appears frequently on radio and television news and talk shows. Never shy, he has performed skits with Conan O’Brien and Stephen Colbert. In Saving Capitalism, Reich argues that power and influence have created a new American oligarchy, a shrinking middle class, and the greatest income inequality and wealth disparity in 80 years. He says the veneration of the “free market” has masked the power of moneyed interests to tilt the market to their benefit. He vigorously backs Vermont Sen. Bernie Sanders for president and notably endorsed Barack Obama in 2008 despite having served four years as President Bill Clinton’s secretary of labor. In a March 10 blog post at blogs.berkeley.edu/author/rreich/ Reich writes, “I’ve been reluctant to use the “f” word to describe Donald Trump because it’s especially harsh, and it’s too often used carelessly. Reich also served in the administrations of Gerald Ford and Jimmy Carter and was part of President Obama's transition advisory board. He has written 14 books, including best-sellers Aftershock, The Work of Nations, and Beyond Outrage. He is a member of the board of trustees for the Blum Center for Developing Economies at UC Berkeley that focuses on issues of global poverty and inequality. Blum Centers, funded in part by Richard Blum, a UC Regent, investment banker, and husband of U.S. Senator Dianne Feinstein, have been established on all nine UC undergraduate campuses. The interdisciplinary Blum Center at UC Santa Cruz was founded last year and focuses on poverty, social enterprise, and participatory governance. In 2003, Reich was awarded the Vaclav Havel Vision Foundation Prize, by the former Czech president, for his work in economic and social thought. In 2008, Time Magazine named him one of the 10 most successful cabinet secretaries of the century. He received his B.A. from Dartmouth College, M.A. from Oxford University where he was a Rhodes Scholar, and J.D. from Yale Law School.